Lending USA is only one of the multiple options available at Petland Waterford Lakes that we use to finance our customers. Lending USA is a closed ended financing contract. They offer a 6 month-no interest loan option, for anywhere from 36 -60 months with low monthly payments so you can take home your pet and supplies today! 3. 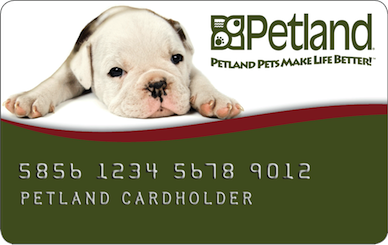 MCS is another of the multiple financing options available at Petland Waterford Lakes. To get started fill out the MCS application by clicking the button below, once approved please call the store for more details. 4. Additional financing available through The Help Card. Call to further discuss our Financing Options so that you can take your new furry friend home today.